Here’s a fun fact for you: According to the 2014 AIA Firm Survey report (sorry, no hyperlink, you have to buy it), 79% of AIA Member firms have less than 10 employees. Recognizing this, the AIA has a Small Firms Roundtable knowledge community and a whole online Small Firms Resource Center with practice tools, contract and insurance information, and links to sustainability resources to serve these members. Oddly missing from the Small Firms Resource Center: a link to the AIA 2030 Commitment. I was in Chicago a couple weeks ago at the offices of HKS (thanks, Rand!) for the first-ever strategic planning retreat for the AIA 2030 Commitment. More on that later. While in Chicago, I had the pleasure of meeting Nate Kipnis, FAIA, founder and principal of Kipnis Architecture + Planning (KAP), one of those aforementioned small firms. Nate, not a reticent man, told me that the AIA 2030 Commitment is viewed by many practitioners as something for big firms only. His small firm, however, was an early adopter of the 2030 Commitment and – heck – here he was in this strategic planning meeting anyway, so I seized the opportunity to do an impromptu interview. 80% of KAP’s projects are single-family homes, either new, additions, or renovations. They have won numerous awards for design excellence and historic preservation, and have eight “Best of Houzz” awards for design and client satisfaction. But seriously, folks. Nate’s firm just gets it. For KAP, the Commitment is a point of differentiation. They put both design excellence and environmental responsibility right up front. Their tag line: “High Design/Low Carbon”, is something the firm takes very seriously. KAP gets great press for high-performance design, and this brings the kind of clients they want. And Nate does a killer seminar presentation called “Energy Modeling for All; 2030 Commitment for Small Firms”, which he has presented a number of times at the AIA National Convention, locally in Chicago, and occasionally elsewhere in the country. If you’re a small firm and have questions about the AIA 2030 Commitment, please look this guy up. He’s very persuasive. And, I also asked, how does a small firm manage the annual AIA 2030 Commitment reporting? Nate is definitive on this point. 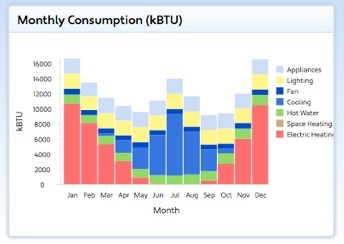 He knows it takes them 5 to 10 hours per project to do the energy models and enter project data into the DDX interface, and they build it into their work flow. That’s the entire deal. The modeling is done early in during schematic design to guide decision making and then updated at the end of design development. 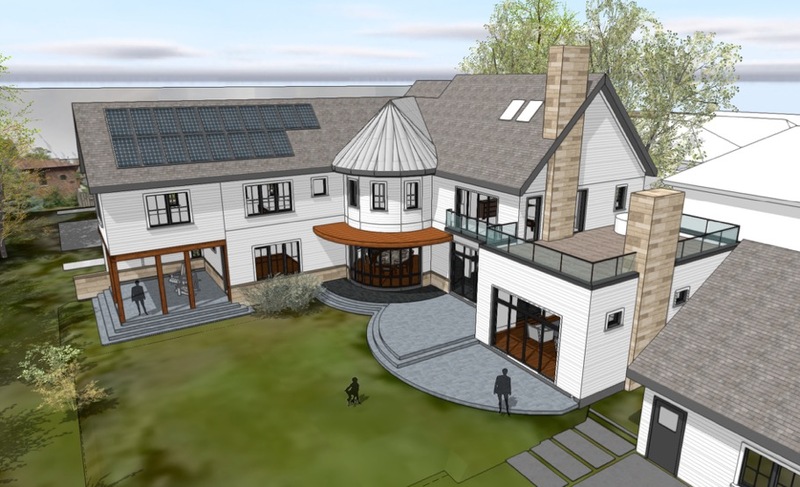 They use either Energos in Vectorworks 2016 (their CAD program of choice), HEED (a free program) or Sefaira to do their own in-house energy modeling. An overhead staff member to drive sustainable design? Sure, that’s a great resource, but something that small firms can’t afford. Nate, however, doesn’t need one. At KAP, it’s just part of everyone’s job. The takeaway? Size doesn’t matter. Small firms can be part of the AIA 2030 Commitment, too. They have to be. Because ultimately, to get to carbon-neutral by 2030, we need all firms, all projects. Including the small(er) ones. I always wanted to keep our company small–and manageable. You’re bang on about that! Thanks for that comment, Diana! We’re all in this together. Glad you liked my post.